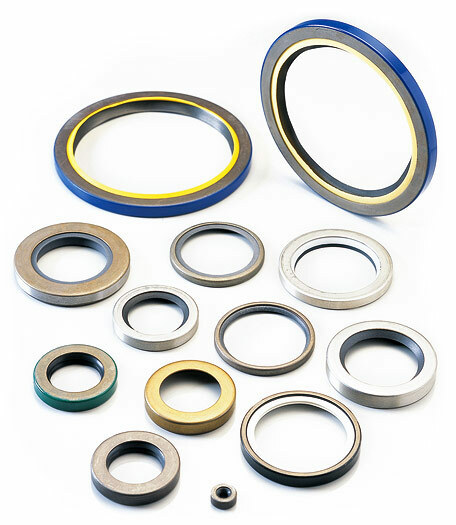 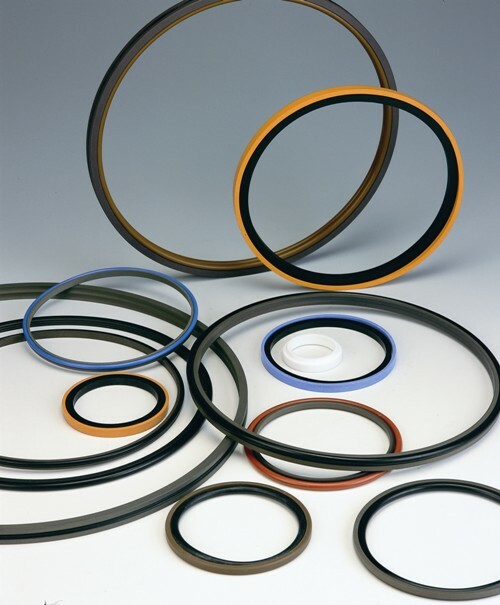 The profile RS rotary sealing set consists of a high-strength thermoplastic slide ring with particularly stable thermic properties and an elastomer expander ring. 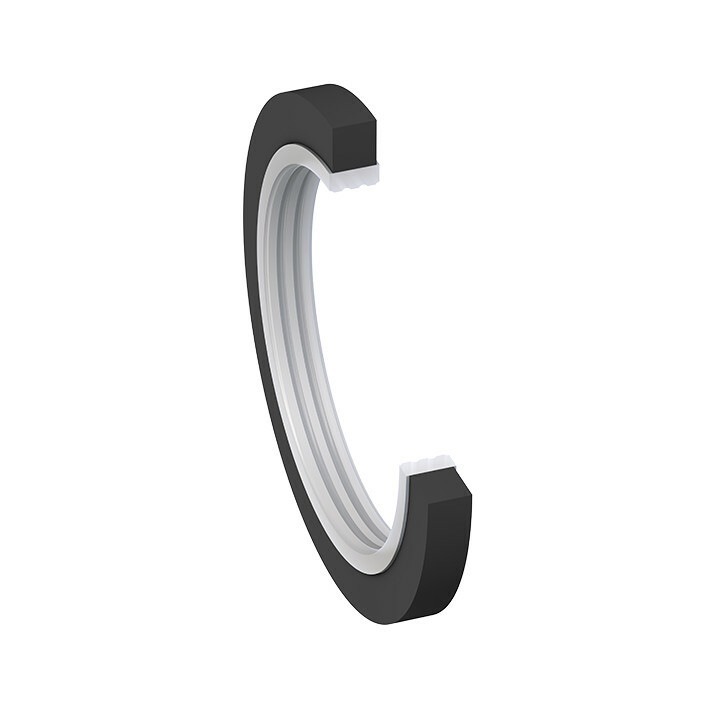 The special contact surface geometry at the inner diameter of the slide ring with the patented (EP 0 643 243 B2) altering pitch has a major benefical effect on the lubrication of the seal. 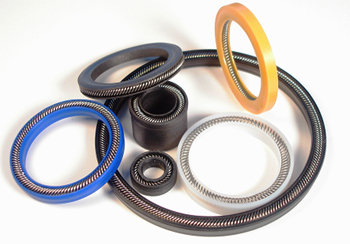 This impacts positively on both friction resistance and wear. 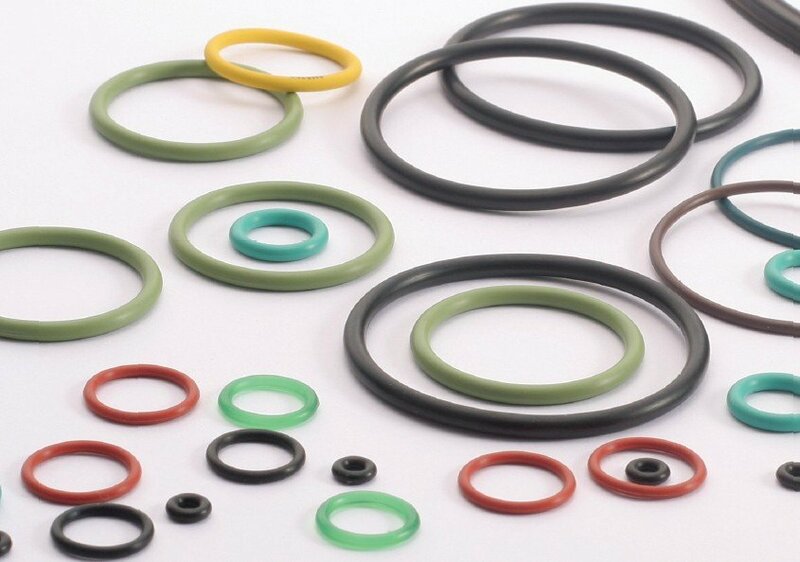 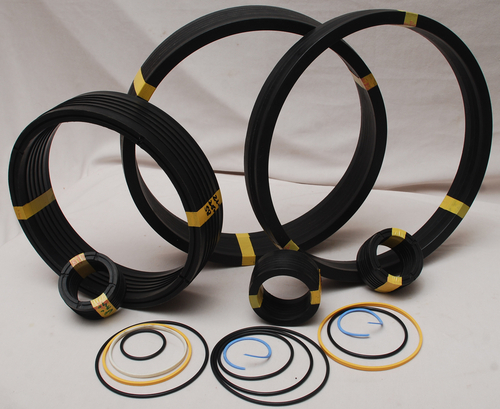 The slide ring compound used and its geometry allow use of the seal even under maximum per­missible pressure (and in case of pressure peaks) without requiring additional anti-extrusion rings. 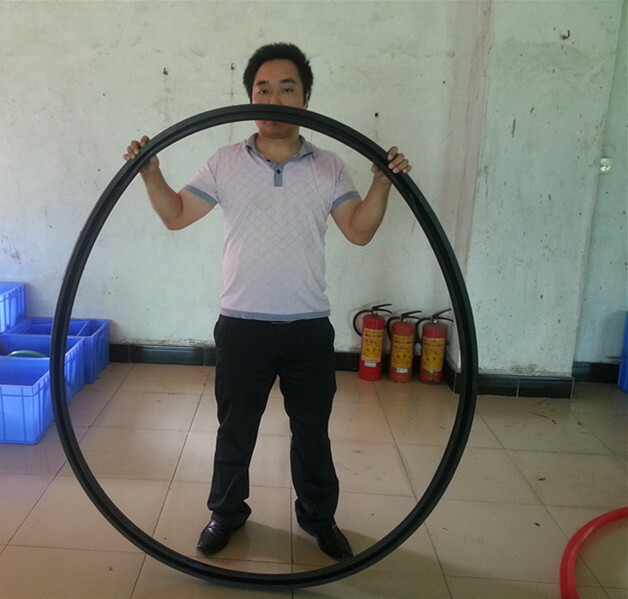 At the same time, it is possible to take maximum advantage of the diameter play between rotor and stator without any functional impairment. 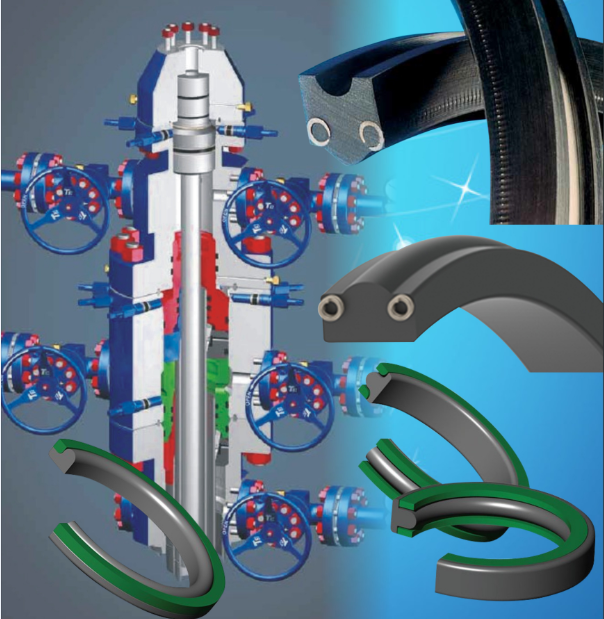 Primarily for alternating sealing of rotary applications in rotating tracks, pivot drives, hose reels, and in machine tool hydraulics.